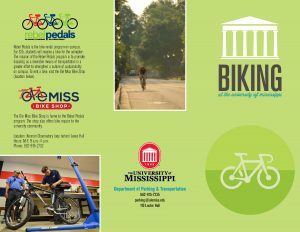 The University of Mississippi is constantly striving to make campus a safe and fun environment for all cyclists of all skill levels. 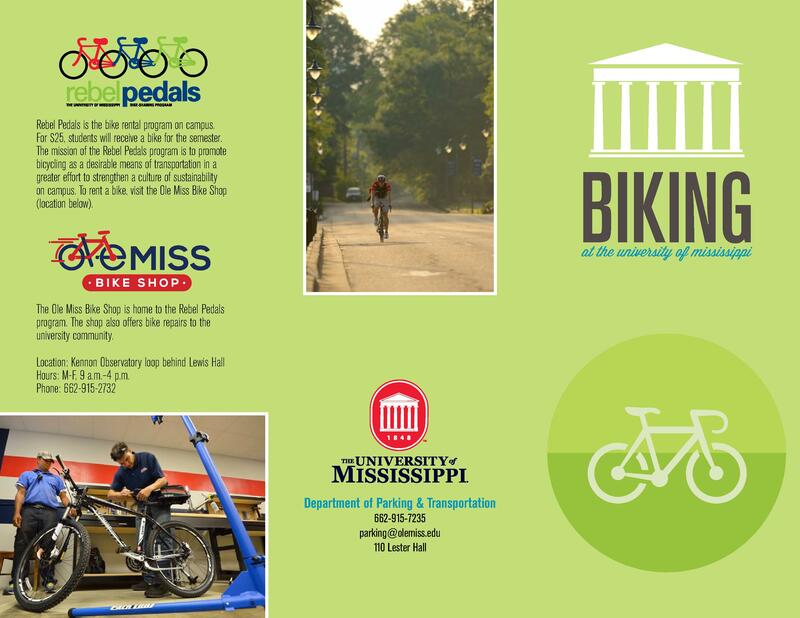 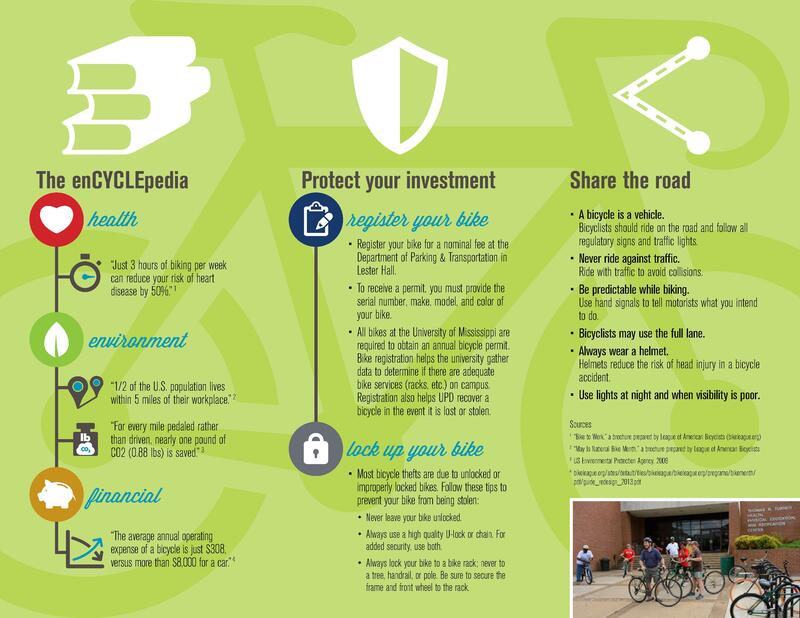 Check out the pamphlet below for more information about biking at the University. Download the PDF pamphlet here.